Description of the design and build of the new steel wedge for Isotelus Rex and how it fared at the Motorama 2017 event. After putting my 12 lb (Hobbyweight) combat bot, Isotelus Rex on a weight loss program to get better results at competitions, it was time to build the new lighter chassis and drivetrain. Putting my 12 lb (Hobbyweight) combat bot, Isotelus Rex on a weight loss program to get better results at competitions. Results from the 2016 SCRC Motorama 2016 combat robot tournament. Hardening a motor for the combat arena. Coverage of the Franklin Institute 2015 event. For several years now, the voltage limit on most budget hobby RC electronics has been 6S LiPo (22.2V), and that’s been fine in combat -- certainly up to the 12 lb Hobbyweights. My 12 lb Hobbyweight, Isotelus Rex lost to Attrition in the finals at this year’s Motorama. In last month’s SERVO, I modified a HobbyKing CAR-45A and tested it to see if it was suitable for use as a weapon ESC (Electronic Speed Controller) for 3 lb Beetleweights. Carolina Combat Robots ([url=http://www.carolinacombat.com]http://www.carolinacombat.com[/url]) and the Schiele Museum in Gastonia, NC ([url=http://www.schiele]http://www.schiele[/url] museum.org) held their sixth Clash of the Bots event on June 6, 2015. I have been using HobbyKing ([url=http://www.hobbyking.com]http://www.hobbyking.com[/url]) brushless speed controllers in my combat robots since 2007, when I used one in Surgical Strike to take first place in the 12 lb weight class at RoboGames. The drums on my Saifu kits have worked pretty well, but when they lose it’s usually been the same problem: bent axles. Winter was doing its best again to make life tougher on the East coast, but fortunately it did not have the same effect at Motorama (organized by NERC; [url=http://www.nerc.us]http://www.nerc.us[/url]) as it had last year when only two-thirds of the competitors made it. It was just after Motorama 2014 that I bought a weapon disc that had been designed for use on the lethal 30 lb vertical spinner, Shaka. TinyESC speed controllers have typically been the ESC (electronic speed controller) of choice for the drives of many Ant and Beetleweight combat robots. The 1.5" and 2" wide Colson wheels have been popular in the 30 lb+ weight classes in combat robotics for many years, but builders often had to make their own hubs to mate the large bore of the Colsons with the standard 1/2" keyed shafts that come on drive gearmotors like Banebots P60s. Weta, god of ugly things — my 3 lb Beetle weight — has always had a different beater bar than the kit bots for which it was the prototype. My first attempt at a Fairyweight combat robot had been a failure when I built it to meet an imaginary 250 g weight limit, rather than the actual 150 g limit. Afew months ago, I was making a batch of drums for my Saifu Ant kits when I received an order for a wider drum for a customer who was building his own chassis. The 3D printing phenomenon had more or less passed me by. I had learned to use one at the TechShop in Raleigh, NC, but that wonderful resource closed days after my course and I never got a chance to use their machines. Pololu produces an interesting set of components that allow you to have caterpillar type tracks on your small 250 g to 1 lb combat bots. In Parts 1 and 2 of this series, I showed how I designed my new 12 lb combat robot, and then revised the design so that it would meet the weight restrictions. The Franklin Institute in Philadelphia (www2.fi.edu) hosted its 7th annual robotic combat event on September 21, 2013. The Institute provides the venue arena and N.E.R.C. ([url=http://www.nerc.us]http://www.nerc.us[/url]) organizes the event. Aweight class in combat robotics can be dominated — often for years — by one particular bot. Buoyed up by my success in getting one panel to work, I decided to add a second panel to increase the impact of the display and to make it a little easier to read. The OrangeRx range of 2.4 GHz spread spectrum DSM2 receivers (available from HobbyKing) has proved to be very useful in combat robotics over the last couple of years as they provide a cheaper alternative to the Spektrum receivers required by the popular DX6e and DX6i transmitters. In Part 1 of this series, I covered the design of a new mini bot. Today's Beetles and Ants have drums and beater bars that can spin in excess of 20,000 rpm. In this final part of my Army of Ants series, I will describe how I made the drum for Siafu and completed the rest of the bot build. In this part, I will show how the parts were manufactured, provide a list of the other parts used, and how they went together to make a drivable chassis. In Part 2, I will detail the design of the drive motor mounts, the hubs and wheels, the drum and its mountings, and the design of the front wedge profile. Combat robotics is — in many ways — a game of Rock-Paper- Scissors. If everything else is equal, a brick will beat a spinner; a flipper will beat a brick; and a spinner will beat a flipper. 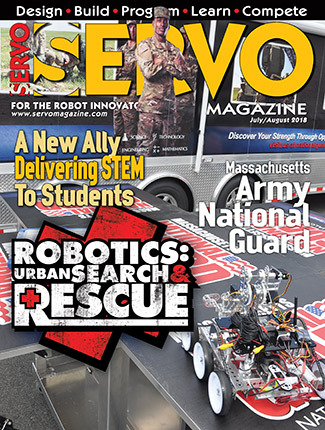 This February 17th–19th, the Northeast Robotics Club ([url=http://www.nerc.us]http://www.nerc.us[/url]) hosted the 10th annual combat event at the Motorama Motorsports Extravaganza and Custom Car Show in Harrisburg, PA. I decided my first serious Ant would be a drum bot. The 2.4 GHz spread spectrum transmitters and receivers have transformed the R/C market. Product Review: Turnigy Simplex 1 - 4 Cell LiPo/ LiFe AC/DC Charger. The Franklin Institute in Philadelphia, PA (www2.fi.edu) was host to the Northeast Robotics Club’s ([url=http://www.nerc.us]http://www.nerc.us[/url]) 5th Autumn Event last year on October 15th. For about a decade or more, it has been possible to get cheap cordless drills from Harbor Freight ([url=http://www.harborfreight.com]http://www.harborfreight.com[/url]). The Schiele Museum ([url=http://www.schielemuseum.org]http://www.schielemuseum.org[/url]) in Gastonia, NC held their second “Clash of the Bots” open day on Saturday, July 23rd. 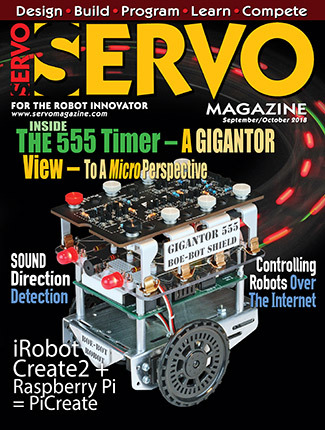 Iwrote an article about programming cheap 2.4 GHz HK-T6A transmitters that appeared in the January’11 issue of SERVO. In that, I commented on how it’s probably a good idea to convert from the standard AA alkaline batteries to rechargeable batteries. My Kitbots bot hockey team “Team Scotch Pies” had competed in one event and taken part in a couple of demonstrations, but the bots were retasked for a summer camp and were less than ideal. Ihave long held the opinion that a good wedge/brick is the best type of bot for most beginners in the sport. This month, I will show how to create the axle, drive pulley, and flanges. The Museum of Life and Science in Durham, NC held its fourth annual “Robot Rumble” on Saturday April 16, 2011. A higher rotational speed gives a bigger hit but it also reduces the bite. Each February, the Northeast Robotics Club ([url=http://www.nerc.us]http://www.nerc.us[/url]) hosts their biggest competition of the year as part of the Motorama motorsports extravaganza and custom car show ([url=http://www.motoramaevents.com]http://www.motoramaevents.com[/url]) in Harrisburg, PA. The principal radio frequency for many years in USA combat robotics was 75 MHz PCM. EVENT REPORT: Franklin Institute 2010 – Rise of the Melty Brains! The Franklin Institute Science Museum in Philadelphia and NERC ([url=http://www.nerc.us]http://www.nerc.us[/url]) presented their fourth annual robot event on Saturday, October 9, ‘10. Walk in the front door of the Schiele Museum ([url=http://www.schielemuseum.org]http://www.schielemuseum.org[/url]) in Gastonia, NC and the first thing you see is a full size replica of the skeleton of a T-Rex! Antweight (<1lb) combat robots use a variety of different drive motors and finding small, light, and robust wheels for them can be a problem. The first blade I had created for our 3 lb beetleweight, Pure Dead Brilliant, had been done in a big hurry to meet weight for its first competition. The Museum of Life and Science, in Durham, NC, hosts this one day event each spring. Last year, three local teams got together to put on a “show and tell” about combat robotics as part of the museum’s much bigger robotthemed event. Knowing exactly how well your bot performs in a particular configuration would be very useful ... like, exactly how fast is the blade turning? What current is the weapon motor drawing at start-up and at cruise? How much does the battery voltage sag at full power? I recently completed our first drum bot — Weta, God of Ugly Things. And while it is a pretty conventional design, it does have one feature rarely seen in bots of this type: The drum is reversible, so it can spin in either direction. Get some insights and helpful tips from a veteran of robot combat. The easy way to do these parts is to have them watercut by a company like Team Whyachi ([url=http://www.teamwhyachi.com]http://www.teamwhyachi.com[/url]), but if you need parts quickly and your time is cheap, then with a little careful design you can route the same parts using just a router and a pattern. The Franklin Institute in Philadelphia, PA (www2.fi.edu) holds their “World Space Week” each autumn and hosted the Northeast Robotics Club’s (www .nerc.us) big autumn competition on Saturday, October 3rd. 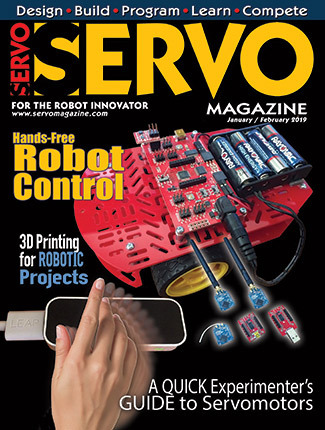 I wrote an article for the November ‘06 issue of SERVO describing how to convert a cheap cordless drill into a drive motor for a smaller robot. 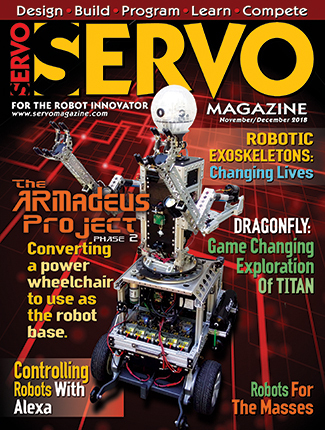 Iwrote an article for the November ‘06 issue of SERVO that outlined how to convert the motors and gearboxes from cheap cordless drills for use as the drivetrain in smaller combat robots. Alot of builders dream of creating a bot with an active weapon but are put off by the apparent complexity. How do you attach a blade to the axle? UHMW (Ultra High Molecular Weight) polyethylene is an increasingly popular plastic for use in robotics in general, and combat robotics in particular.